Check in was fast. The room has plenty of space for three people in our case. Good breakfast. Where to find Ayr hotels near an airport? Where can I find hotels in Ayr that are near tourist attractions? 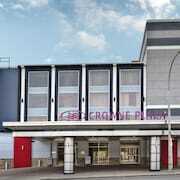 Are you arranging to spend some time in Hamilton? Hoping to book somewhere to stay in Ayr? Ayr features 2 quality accommodation options within a 0.1-kilometre (0.06-mile) radius of the center of town. 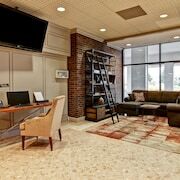 There are a range of Expedia accommodations within driving distance, including the Arlington Hotel Paris and Davidson Motel. 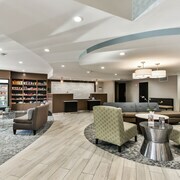 The Courtyard by Marriott Waterloo St. Jacobs can be found 25 kilometres (17 miles) from the main part of Ayr. 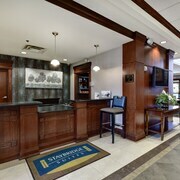 Alternatively, the Holiday Inn Express Hotel & Suites Waterloo - St Jacobs can be found 25 kilometres (17 miles) away. 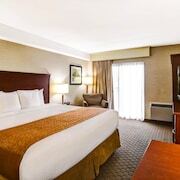 Two other accommodation options worth checking out around Ayr are the Delta Hotels by Marriott Guelph Conference Centre and the Waterloo Inn Conference Hotel. Looking to go a bit further afield? Southern Ontario offers a number of things to see. Southern Ontario offers beaches and coastal plains, and common Southern Ontario tourist attractions include traditional villages. In this part of Canada visitors may partake in skiing. Burlington is 50 kilometres (32 miles) to the east of Ayr and is home to the Royal Botanical Gardens and Burlington Art Centre. 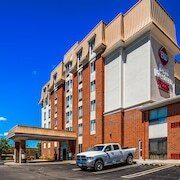 Some of our recommended Burlington hotels and accommodations are the Waterfront Hotel Downtown Burlington and Holiday Inn Burlington Hotel & Conference Centre. 70 kilometres (44 miles) to the east of Ayr, you can also stay at Grimsby, which is home to the Casablanca Winery Inn and Super 8 Grimsby Ontario. If you're staying in Grimsby, don't miss the Peach King Centre and Gateway Niagara Information Centre. Get your sporting fix by making a journey to Air Canada Centre, which is 95 kilometres (59 miles) to the northeast of Ayr. Those wanting to stay near to the sporting action can make a choice from the The Ritz-Carlton, Toronto or the Four Seasons Hotel Toronto. Ayr is home to some great scenic and cultural attractions; learn more by visiting Expedia's up-to-date Ayr travel guide. What are the most popular Ayr hotels? 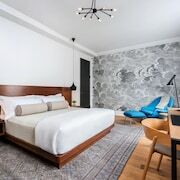 Are there hotels in other cities near Ayr? 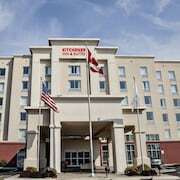 What other types of accommodations are available in Ayr? Explore Ayr with Expedia.ca’s Travel Guides to find the best flights, cars, holiday packages and more!